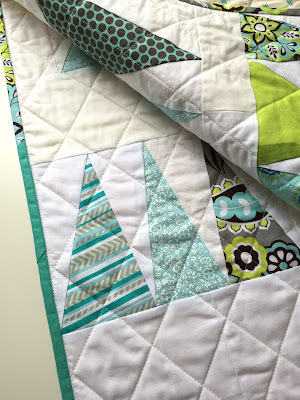 A little over four years ago, I made a chevron quilt for my friends' new baby daughter. It's a quilt that I'm happy to say has been well loved and is still in rotation, so when my friends recently commissioned me to make a baby quilt for their second daughter, who was born in April, I was super excited. 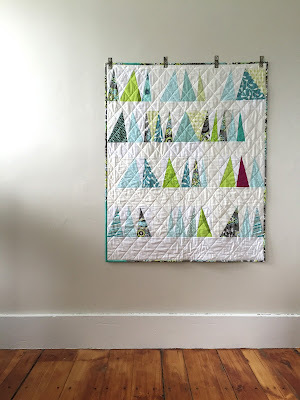 I knew I wanted to do something fun, and slightly different, for the quilt design. 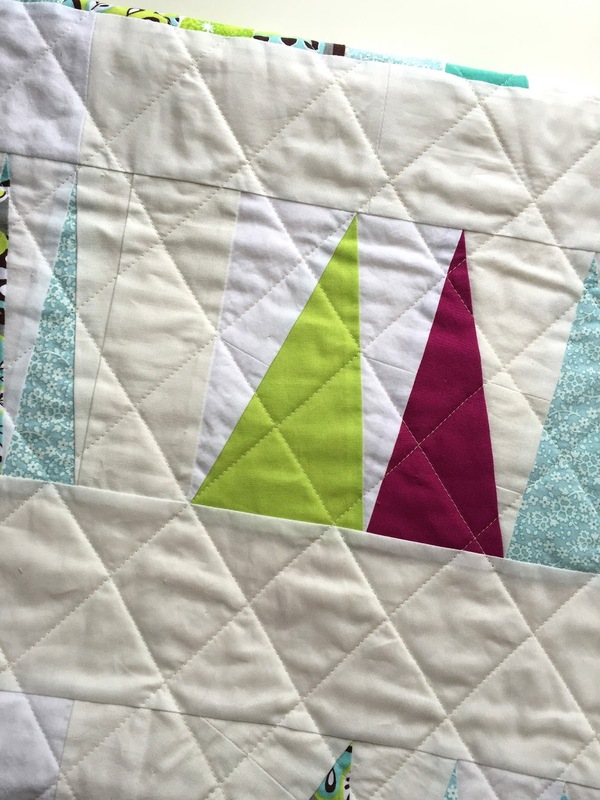 I remembered that I had a copy of the Wonky Triangles paper-piecing pattern by Owen's Olivia, and thought this could be the perfect opportunity to finally use it. My friends sent me a few pieces of fabric to include in the quilt: an aqua-and-brown polka dot and a gray, lime green, brown and aqua print. I used those fabrics as my starting point, and pulled coordinating lime and aqua scraps from my stash. 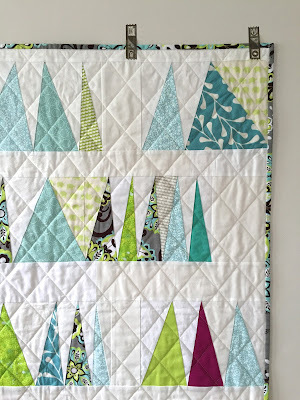 I paper pieced each of the triangles, using various shades of white and cream, and a low-volume print, for the background. I included one solid magenta triangle for fun, which added an unexpected pop of color. I backed the quilt with a teal and cream polka dot, quilted it with a simple cross-hatch, and made a scrappy binding from the leftover pieces of fabric. 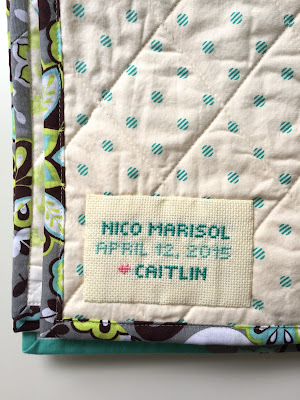 I also added a custom cross-stitch label to the back, with the baby's name and birth date. It was so fun to make a quilt for a baby that I hope to meet soon, and I love knowing that the quilt has gone to home where it will be used and well loved.